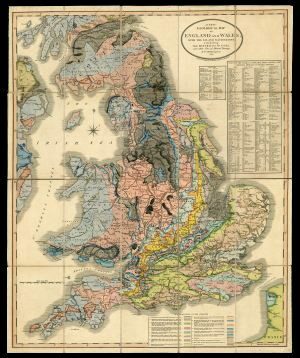 This two-day conference features Keynote Lectures from Professor Hugh Torrens and Professor Simon Knell, as well as talks by other experts on William Smith’s maps, his careers and his contemporaries in England and Europe. The conference fee includes a wine reception at the end of Thursday. The conference dinner, not included in the conference fee, will follow the reception. It will be held in the Lower Library of Burlington House. Registered delegates may invite a guest. If you are not a member of HOGG, why not join us to take advantage of the HOGG members’ conference rate?